Sara Jinks in Pat Graney's "Cowgirls"
When you think about a dance performance, you may envision something grand and expansive, like “Nutcracker.” Or maybe a sparkly ballroom competition comes to mind, something akin to “Dancing With the Stars.” No matter the dance style, these performances are about bodies moving in space. In this case, people moving across large stages or big dance floors. 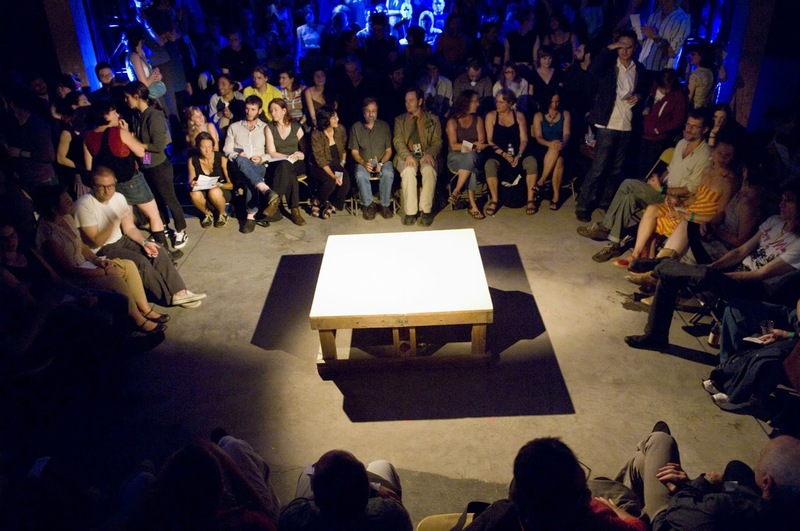 But what happens when a performance space is tightly circumscribed? This weekend ten Seattle-area choreographers explore that question in a performance called “Ten Tiny Dances,” onstage at Velocity Dance Center on Capitol Hill. I've never attended one of these productions, and was curious what makes something a "tiny dance." The ten dances are performed on a four foot by four foot, 18-inch high platform. Apparently, the audience sits very close to this tiny stage; they're so close, Jinks explains, that it can be unnerving for the dancers. This year Sara Jinks takes on the producer mantle. She’s invited an array of choreographers to participate, including Spaeth, as well as other established local dancemakers,like Wade Madsen, Mark Haim and Diana Cardiff. But Jinks wanted to expand the reach of the performance beyond the city’s contemporary dance community. This year’s program includes both Indian and African dances. Most of all, Jinks wants to encourage people who are new to dance of any kind to attend Ten Tiny Dances, and to come with an open mind. But when live humans are moving, on a tiny platform or a huge stage, right in front of us, Jinks admits it can challenge the audience. wow, you can fit a lot of performers on the stage for one Tiny Dance!